Now, don’t get all worried by the words “water chemistry”. 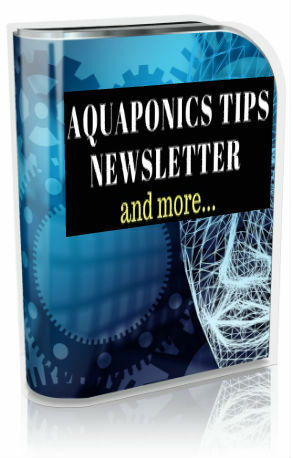 There is no need to review or memorize any formulas here, but you should understand the basic process and what makes your aquaponics system work. by Nitrosomonas bacteria. The nitrite will then be converted into Nitrate by Nitrobacter bacteria, and Nitrate is the nutrients that plants love to grow on. Both these bacteria are ubiquitous in the environment. They will naturally come to flourish as long as ammonia is present (no need to add them to an AP system). Nitrate is plant food and is consumed by plants in aquaponics systems. This step completes the process of removing what would otherwise be toxic ammonia produced by fish from the water in a way that is beneficial to other organisms – plants, all while recycling the same water in the system. One way to look at it is, fish produce plant food, and plants produce clean fish water. In balanced water chemistry, ammonia and nitrite should be at ‘0’ ppm. This is because ammonia is quickly converted into nitrite and then to nitrate. Nitrate, on the other hand should be kept below 60 ppm but this would also depend on the type of fish you’re growing. Koi, from my experience, can tolerate up to 80 ppm without issues. The other important parameters to be concerned of are the water pH, DO (Dissolved Oxygen and temperature. Get yourself a simple aquarium kit for this purpose. You will need to do the testing more regularly during the initial start-up or cycling phase of the system. You can get a water sample test kit in aquarium stores. The more common options come in the form of test strips which are cheaper or liquid as illustrated below. This kit costs more but gives a significantly more accurate result. You should keep a close eye on the pH of your system. This reading will tell you how much nutrient is available for your plants to uptake, and can also warn you if your fish are in danger. Generally, a pH of between 6.0-8.0 is acceptable though an ideal pH for aquaponics is 7.0. Nevertheless, I do not recommend purposefully reducing or increasing the water pH. It is always advisable to leave the pH alone and get the fish and plant that suite your natural water pH. This is because it’s difficult to maintain a manipulated pH. It will eventually creep back to its original pH and you will be fighting a losing game. Ok…so, remember don’t beat yourself up over the ph levels. Too many beginners make this mistake and end up throwing in the towel unnecessarily. You want to control your ammonia and nitrite of not exceeding 6 ppm as this is toxic to your fish. Try to keep ammonia of less than 1ppm and nitrite at or below 1ppm. As for nitrates, a range of between 40-80 ppm is acceptable. The type of fish you choose also plays a part here in terms of their tolerance nitrate level. That’s why it is important to monitor how your fish behave at any given range. 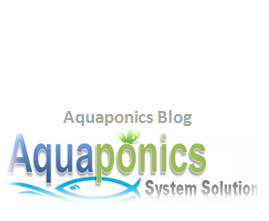 Is the oxygen content in your aquaponics system and it’s essential to the health of your fish. DO can also be impacted by the water temperature. The colder the water the more oxygen the water can hold. Low DO can suffocate your fish. A good aeration system would solve this problem. This can be resolved in the design stage of your system or simply adding an aeration pump to your set-up. The goal here is to strike a 80% saturation or not less than 4 ppm. It’s crucial to keep this in check if you experience high temperature fluctuations where you live. This is because nitrifying bacteria slow down their processes in cold water, and many fish eat less or can even die if the temperature drops too low. The ideal temperature range would be between 77-86 F (25-30 C), for the nitrifying bacteria to flourish. Achieving a water chemistry balance in any aquaponics system is important to the health of your plants and fish. 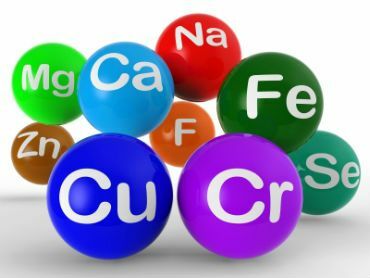 It is easy to do really, there may be a bit of work at the beginning (cycling stage) of the system but once everything is cycled (this simply means all the needed bacteria have been established in your system). 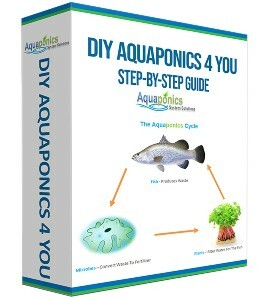 Starting Your Own DIY Aquaponics? I live by the “API Freshwater Master Test Kit” when it comes to testing my aquaponics water chemistry. But the test strips (API 5 in 1 Test Strips) is a good enough alternative and more convenient to use and cheaper too. It may lack clarity between readings at times, but so is the Master Kit at occasionally. I am a strong advocate to cycling aquaponics systems with fish, but if you opt for fishless cycling here are some products that come highly recommended. The AquaCycle variant comes without the thermometer and API Freshwater Master Test Kit. The AquaStart variant however comes with everything included. Both variants accommodate to different system sizes hence, the price difference. A tip though…if you don’t need the thermometer, you can always get the API Freshwater Master Test Kit + any of the AquaCycle Kit for a much cheaper price. This is really useful information. I am very interested in this and will be spending more time reading on this site. Thank you Alan. Glad you find this site useful to you. 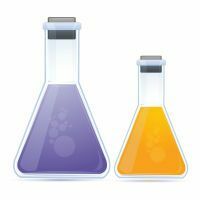 You have some very sage advice in this article especially on manually adjusting the pH. I know in my system I had a very high pH when I 1st started and tried to lower it with manually but the effect was never long lasting. The fish and plants didn’t mind too much so in the end I gave up. That was 4 years ago and I haven’t tested it for at least 3 years, reminds me I probably should. My husband is always talking about the details of getting the pH right in his fish tank! He’ll certainly benefit from your knowledge. Hey Jane. I’m just glad to be of help.